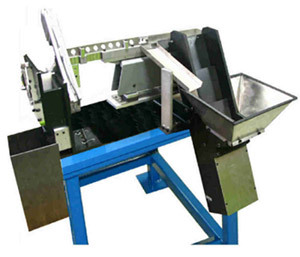 CDS Manufacturing designed and built this “Step Feeder & Laser Inspection System”. This system utilizes a Step Feeder, known for it’s versatility and low maintenance, to feed pins for inspection by a laser inspection system. The diameter of each pin is measured and good / reject product is automatically gated accordingly.